Extreme Marquees offers a wide range of colours across our entire gazebo, tent and marquee range. Whether you’re looking for a white marquee or gazebo, red, blue, green, purple or pink or black gazebo or anything in between we can accommodate your request to find the perfect colour for your product. At Extreme Marquees, our roofs are made from the best quality imported fabrics and materials. As we pride ourselves on our innovation, individual customization and custom printing, we put all marquee coloured fabrics through a number of processes designed to assure the highest quality is achieved. 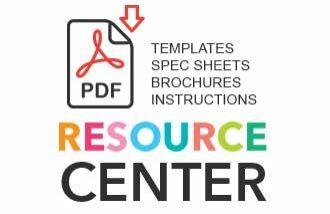 All custom PVC roofs are digitally printed directly onto the fabric. The fabric is then sent through a lacquer machine that seals the material and hence protects the product from wear and tear. All custom polyester roofs are subject to a sublimation process whereby a machine seals the design into the fabric. In addition to this, these fabrics can also be used as either full or half walls with printing on both inside and out. To buy tents, marquees or gazebos purpose-built for outdoor events and functions, browse from our range of Event Marquees, including our Crest Marquees and Dome Tents. We also offer a range of parts and accessories for your gazebo, marquee or promotional product to make your item uniquely yours and perfect for your business or function. 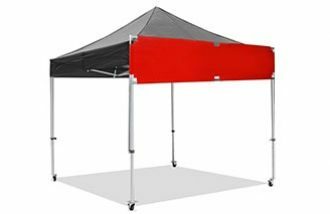 Extreme Marquees has one of the largest online stores in Australia and we guarantee that whether you’re looking to buy gazebos, pop up tents, marquees or outdoor branding solutions online, we’ll have the right product for you! Take a look at our some of our amazing white gazebos and marquees for sale, perfect for outdoor weddings and events, or black gazebos for market stalls and fairs. Shop online and we can deliver, Adelaide to Darwin or Perth to Brisbane, Australia-wide! When choosing which folding marquee, printed tent or portable gazebo suits you, it is very important to consider what type and colour roof is desired. At Extreme Marquees, we offer two different types of roofs for our entire range of pop up marquees, folding tents and custom printed gazebos, one of which is made from polyester, while the other is made from Poly vinyl chloride (PVC). Our Polyester roofs (made from a fabric coated in PVC) are lightweight, water proof and cost effective. These polyester roofs are available in eight colours and are available in our entire range of star shades and our entire standard folding marquee range. Our PVC roofs are a more heavy duty, stronger roof. The PVC they are constructed from is a strong commercial grade fabric, and hence is perfect for your folding tent, folding marquee or folding gazebo that is going to undergo heavy usage. PVC roofs are available in ten different colours and are available across our entire range of marquees, folding gazebos and folding tents.